BioShock fans rejoice! 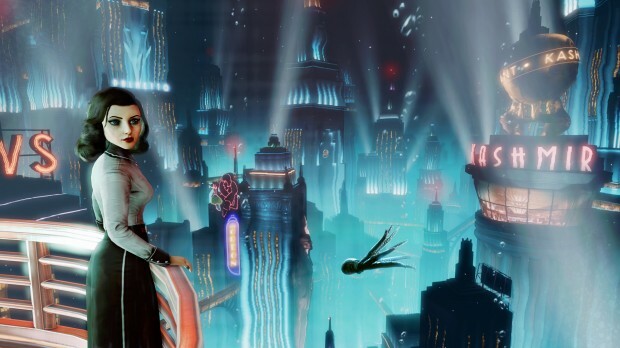 Irrational Games has finally given a release date for the new BioShock Infinite DLC "Burial At Sea". This DLC will mark the players return to Rapture before the start of the original two games. Here we will see how the gleaming underwater city of Rapture was before its fateful decent into madness. You will again be joining Booker and Elizabeth as they roam the city in search of a mysterious little sister. Rapture has now been completely redesigned under Infinite's new engine, making the city look even more breathtaking than before. In turn, you will be receiving a system of rebalanced AI, which will give your stealth and your skill of maintaining resources a run for its money. The weapon wheel will be making a return as well (this will let you have more weapons compared to Infinite's two-weapon limit) and you will be seeing an old BioShock weapon make a return, a new Plasmid, new Gear, and a new Tear arrive in the DLC. The second part of the DLC is still in development and has not been given a proper release date yet. Episode two will have you playing as Elizabeth for the very first time and will have you utilizing her power as well as relying on stealth-based combat. "Burial at Sea" is included in the BioShock: Infinite Season Pass and will can be purchased separately for $15. Episode 1 will be released for Xbox 360, PS3, and PC on November 12th.